It’s a lightweight, portable control box for surface air supply + communication (if requested) operations. If communication is requested, a ALPHA PRO X DIVERS unit (hardwired comm unit) is installed into the ACM (underwater units not included) permitting full duplex with max 2 divers. Cables will then run down with surface air supply cables. 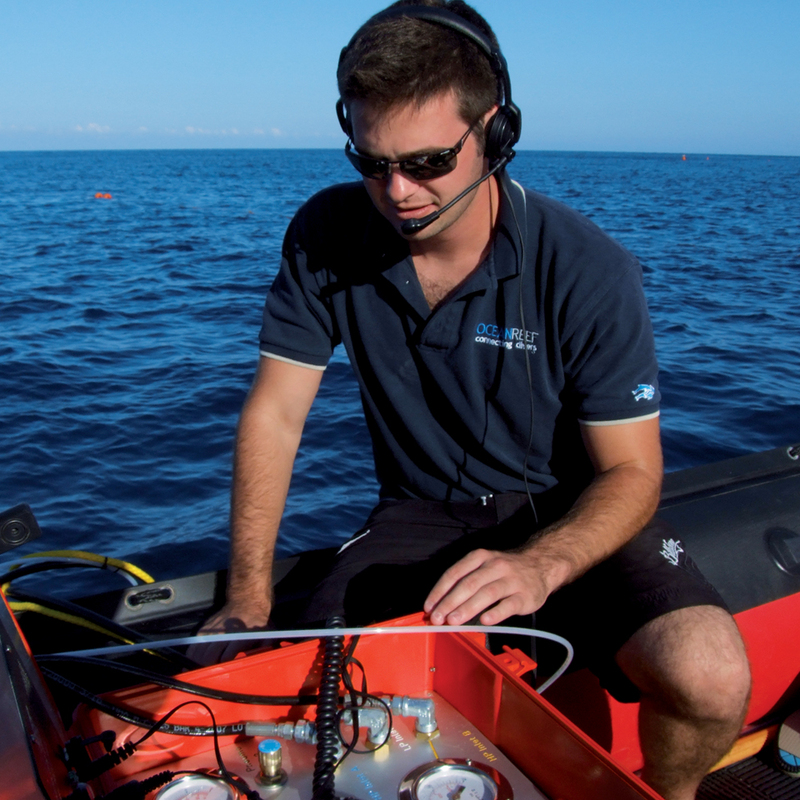 Depth Gauge/Pneumo Systems: Dual reading gauges continuously monitoring the diver’s depths from 0-70m (0-230ft). Maximum recommended user depth: 40m, 130ft FSW. Depth Monitoring/Pneumo Knob is used to meter the flow of air used for depth measurement. The Stainless Steel Air Outlets fittings connect the diver’s air supply hose to the ACM, providing a strong, reliable, corrosion resistant connection. Shut-off valves allow the isolation of one diver’s air supply from the other. Regulator Adjustment Knob controls the air pressure delivered to the diver’s umbilical. Variable pressure settings are obtainable. Selector Valve Handle is used to choose either one of the air supply cylinders. Individual cylinders may be changed out without interrupting the dive. High Pressure (HP) Supply Gauges directly monitor the pressure in each of the air supply cylinders.